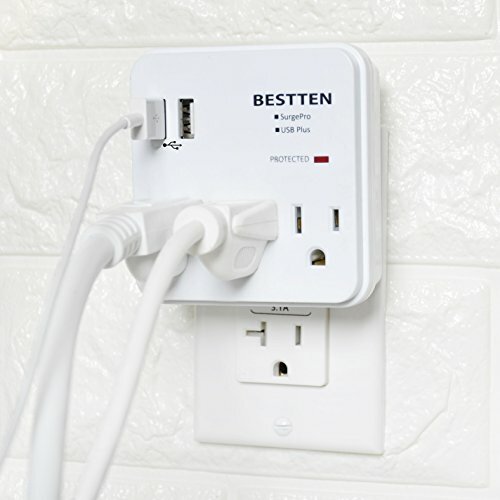 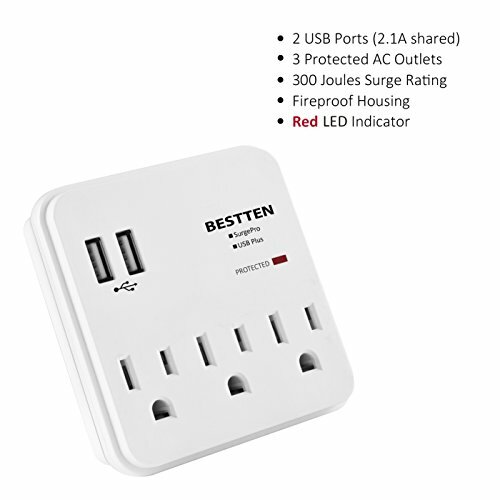 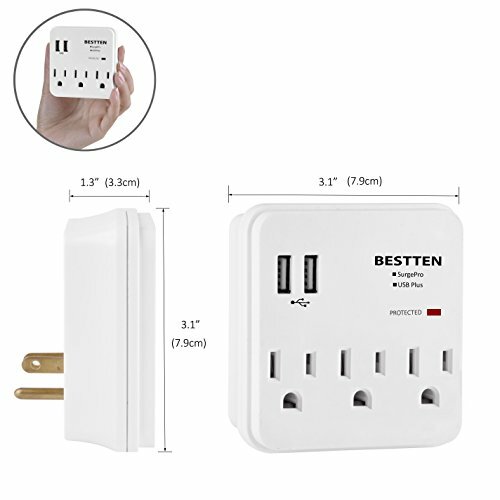 In addition to its 3 AC outlets, this wall outlet features 2 protected USB charging ports. 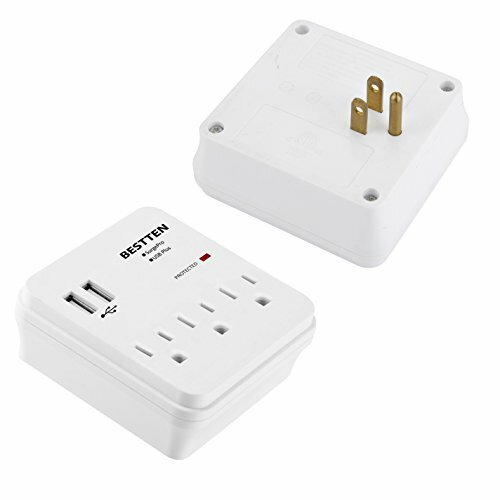 This allows you to easily charge tablets, smart phones, and other USB powered devices. 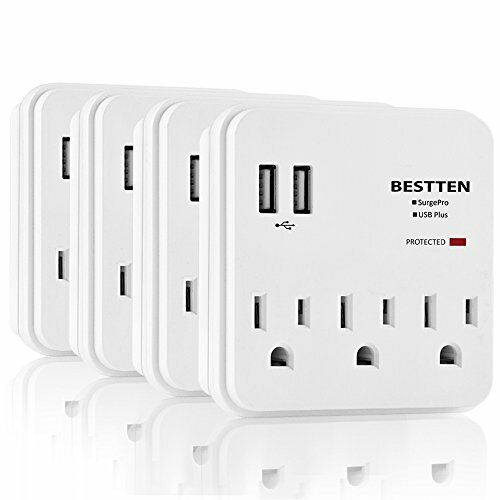 These ports make it easy to keep your devices running without blocking your computer's USB ports or the AC outlets you need for larger devices. 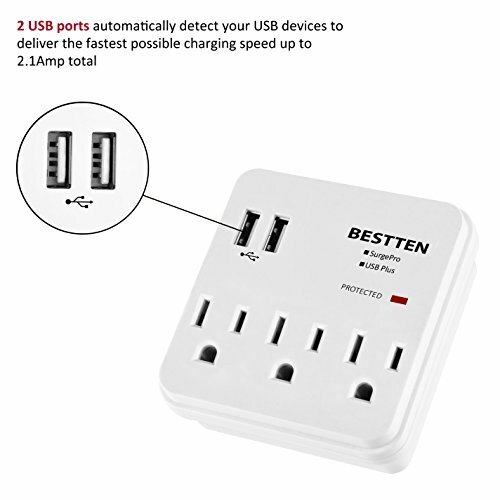 With 2.1 amps total charging current when charging 2 devices, they deliver the power needed for fast, efficient charging.